With the right to vote for Oregon women in 1912 came the right to run for public office. 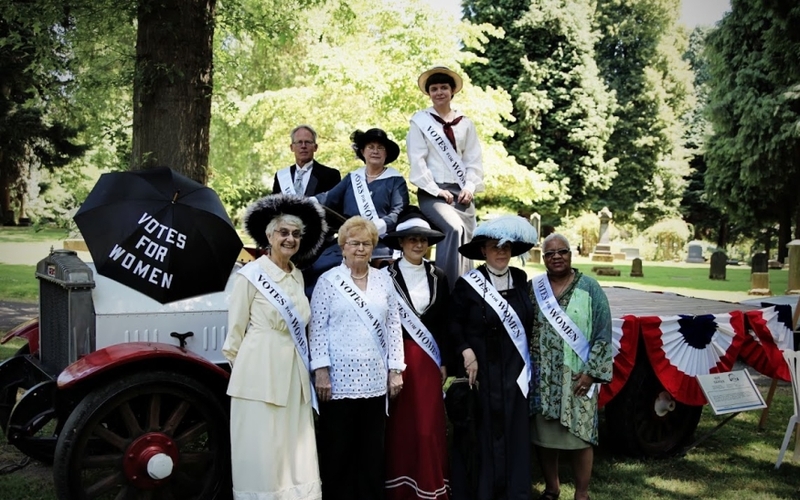 Dozens of women in the Beaver State pursued elected state and local office from the time women in the state achieved suffrage to the ratification of the 19th Amendment in August 1920. One of the women who utilized this new right was Sylvia Thompson, a Wasco County Democrat. As a legislator, campaigner, and public figure, Sylvia Thompson was the embodiment of someone who took full advantage of the opportunities woman suffrage provided. 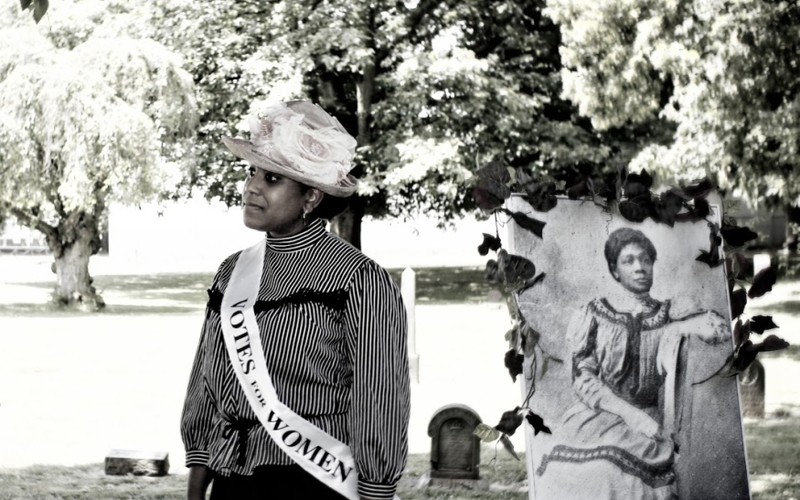 Born in 1876, Thompson experienced almost half of her life without being able to cast a vote in her home state. 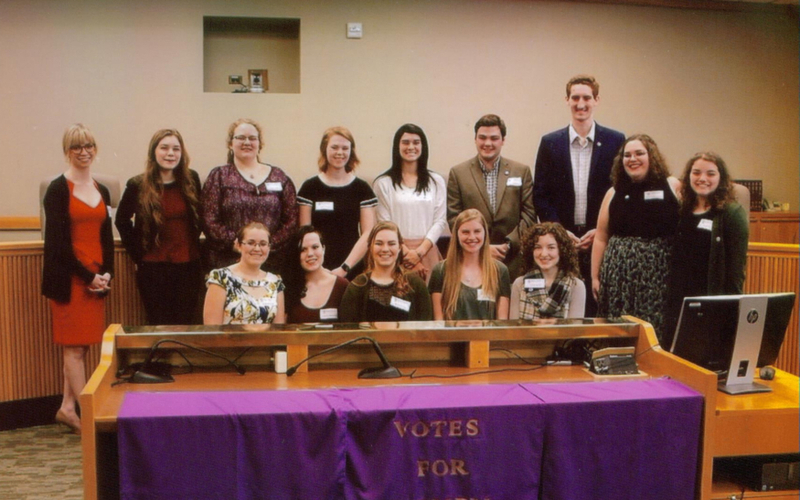 In 1873, just three years before she was born, the Oregon State Woman Suffrage Association was formed. As mentioned in Kimberly Jensen’s “Revolutions in the Machinery,” the Oregon movement was influenced by a Pacific Northwest tour by Susan B. Anthony, a national figure for woman suffrage. Eleven years later, Oregon put statewide suffrage on the ballot for the first time in 1884. The ballot measure lost by a supermajority of 72%. The next time the measure went to an Oregon ballot was in 1900. This vote showed the more support for suffrage than the next three ballot measures, with 48% of voters supporting voting equity. Oregon men voted a record six times (1884, 1900, 1906, 1908, 1910, and 1912) before women citizens achieved suffrage. One woman in particular was looking to take advantage of this. “Oregon Legislators” Morning Oregonian, November, 11, 1916, 3. “Woman Gives Views,” Morning Oregonian, December 8, 1916, 15. Thompson was a three-term Oregon State Representative, serving the people of Wasco and Hood River Counties from 1916-1922. 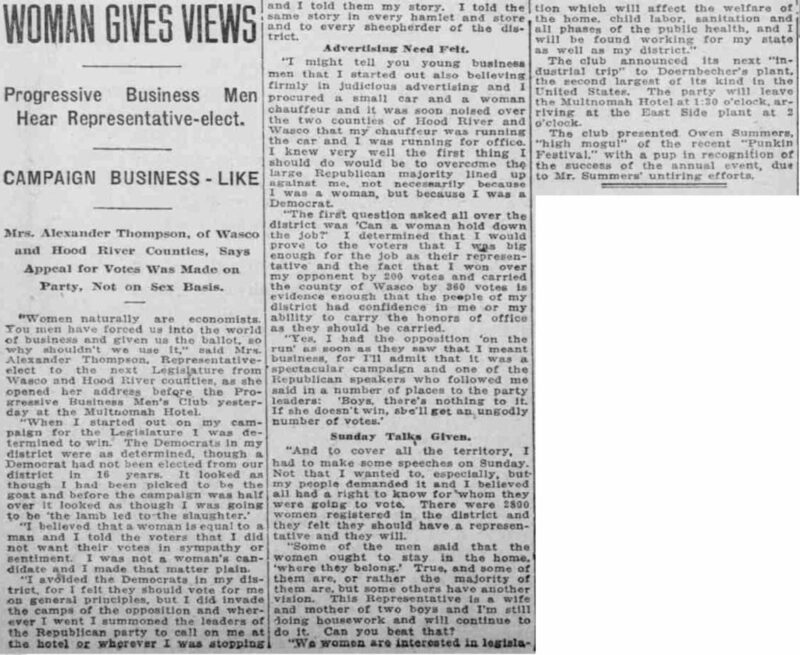 When first elected, she spoke to the Progressive Business Men’s Club about her tactics and approach to the campaign, as noted in a December 8, 1916 article in the Morning Oregonian. Thompson was in a district that had voted Republican for the previous 16 years. That voting history did not seem to bother her given that she viewed herself as the person meant to break that trend. When she did it, though, she did not want it to be because of her gender. Thompson made sure to clarify in this speech that she was not the “women’s candidate,” but the Democrats’ candidate. She did not want a victory aided by “sympathy” votes. It was so important to Thompson that nobody vote for her strictly based on gender because she knew how suffragists would react if the people elected a man for the sole reason that he was a man. Here, Thompson exhibited one way she defined fairness and democracy. In May 1920, two women ran against each other in the Democratic primary to represent Oregon’s Third District in the U.S. House of Representatives. The primary featured Sylvia Thompson running against Esther Pohl Lovejoy. While many women in Oregon had been running and holding state and local offices for years, none had yet made run for a U.S. Congressional seat. While Democratic Party registration was very weak in Oregon, Democrats were electorally successful. Sylvia Thompson was an experienced member of the Oregon House of Representatives and many saw her as the Democrat who could best take on the Republican nominee and change voting trends in the state for her party. As Kimberly Jensen noted in Oregon’s Doctor to The World, Lovejoy had all the skills necessary to run for political office. She was an excellent speaker, had great networking, was able to fundraise efficiently, and had wartime service in France with the Red Cross. For a while, Lovejoy was the only candidate seeking the Democratic nomination for the 3rd Congressional District. Because of this, she set her campaign assistants in motion and went to New York. This plan quickly had to be changed as Sylvia Thompson entered her name in the race for the nomination on April 13, 1920. There were rumors of Thompson switching parties and becoming a Republican. 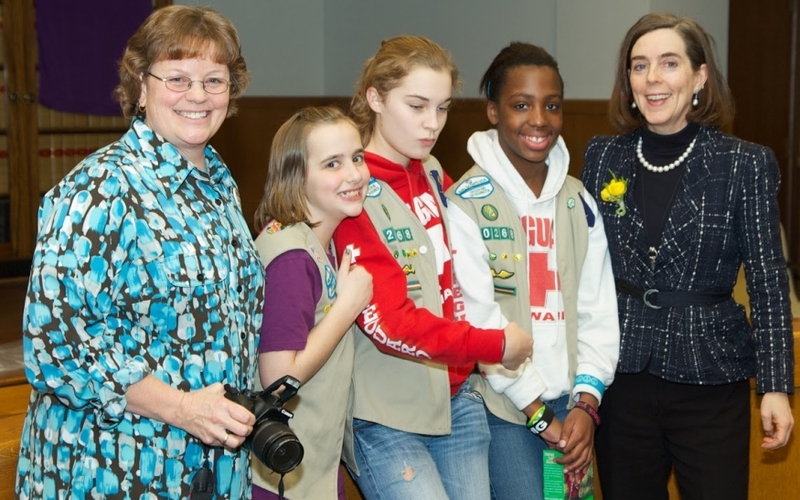 These rumors stemmed from Thompson’s criticism of Oregon’s Democratic U.S. Senator, George Chamberlin. 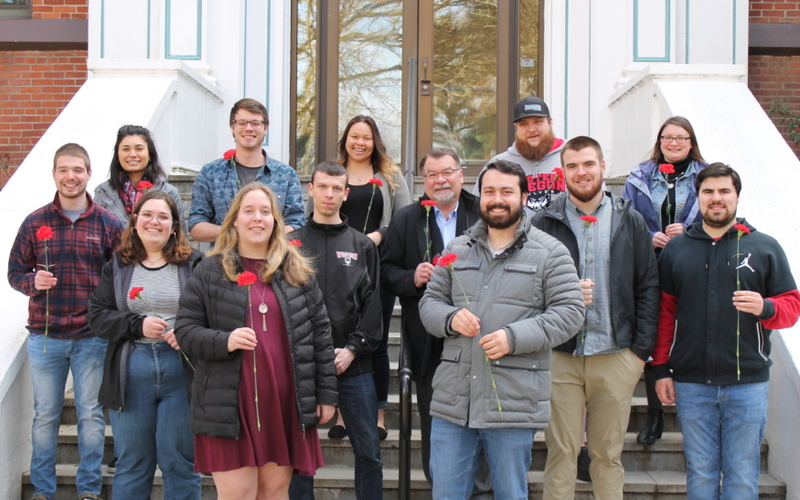 (146-149) Lovejoy was seen as the far more progressive candidate, had been in the race longer, had a larger national presence, and because of these factors, was victorious in the primary. However, Lovejoy was quoted in the May 22, 1920 Morning Oregonian accusing Thompson of “political trickery” by using meetings about the school tax to advance her candidacy. 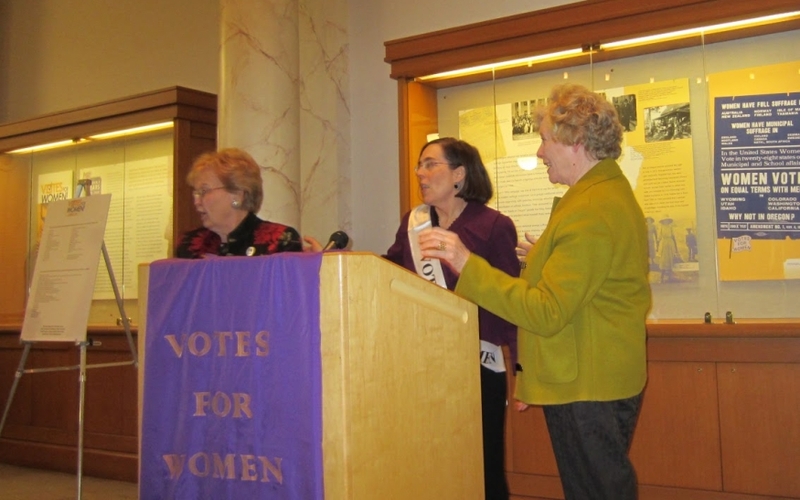 Kimberly Jensen’s “Woman Suffrage in Oregon” shows that Thompson had a major role in the story of how Oregon became the twenty-fifth state to ratify the 19th Amendment of the U.S. Constitution during the special legislative session in January 1920. On June 4, 1919 the U.S. Congress passed the 19th Amendment. In order for it to take effect, thirty-six of the (at the time) forty-eight states needed to ratify it. Though Oregon suffragists had different opinions on the level of fault that the Democratic Party deserved, the two groups of the movement decided that their strategic differences paled in comparison to the importance of national suffrage being achieved and that they needed to work together. They wanted Oregon to be one of the first state legislatures to ratify the Amendment. However, Oregon’s legislative session had ended three months earlier. Oregon’s Governor at the time, Ben Olcott, was not in favor of a special legislative session, even considering the circumstantial urgency. But when the need to address many other legislative issues became obvious, Olcott eventually called for a special session for January 1920. During this session, Representative Sylvia Thompson introduced House Joint Resolution 1. The bill passed in both houses and on January 12, 1920 and was filed in the secretary of state’s office on January 14, 1920, the final ratification date. Oregon became the twenty-fifth state to ratify the 19th Amendment to the U.S. Constitution on January 14, 1920. 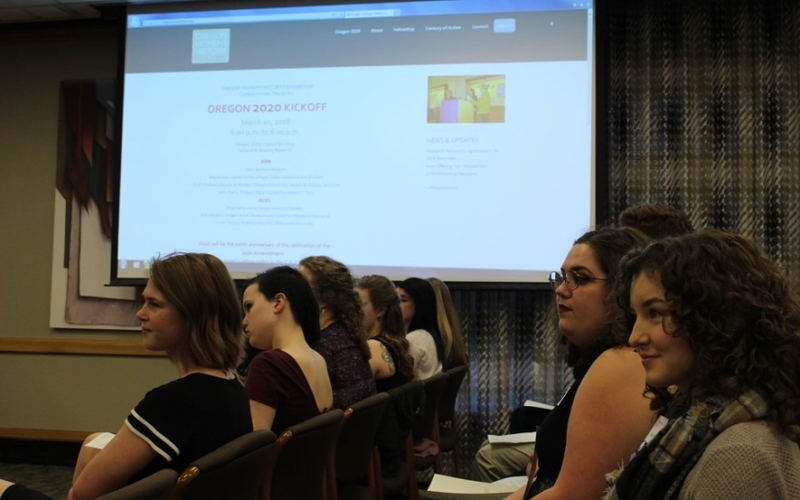 When Tennessee became the final state needed to ratify the 19th Amendment to the US constitution, the editors of the Oregon Journal asked Thompson, along with other Portland women active in politics, to share their thoughts. Her comments were published on August 18, 1920. 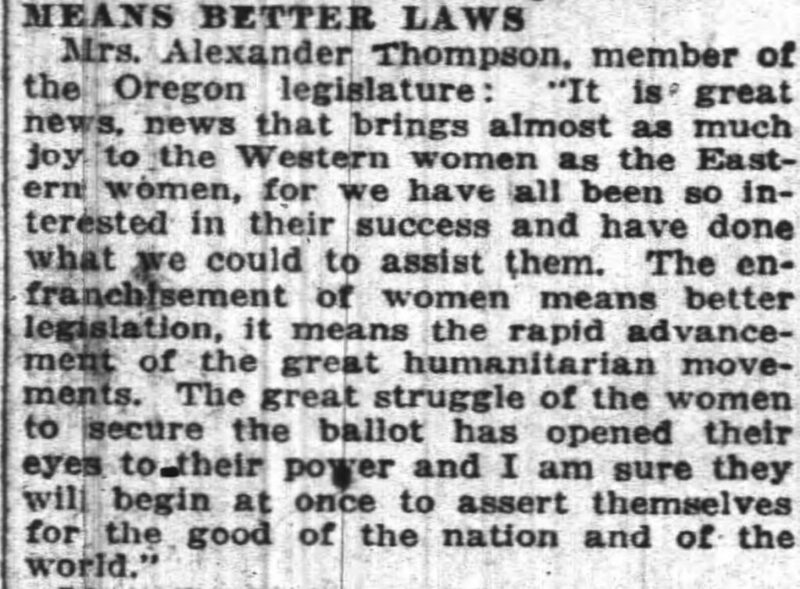 Thompson was quoted, saying “It is great news, news that brings almost as much joy to the Western women as the Eastern women, for we have all been so interested in their success and have done what we could to assist them.” This shows that Thompson was fighting for more than her own right to vote or her own state’s right to vote, but for every woman in the United States to be able to cast a ballot. Thompson pointed out the advantages her state saw when women were allowed to be vote and run for office: “The enfranchisement of women means better legislation, it means the rapid advancement of the great humanitarian movements.” To Thompson, not only was allowing women to vote the fair thing to do, but it was beneficial to society. The paragraph dedicated to her ended with her explanation of what women have learned through the struggle of achieving suffrage. She said, “The struggle of women to secure the ballot has opened their eyes to their power and I am sure they will begin at once to assert themselves for the good of the nation and of the world.” Once women have full voting rights, they will know what great things they are capable of because of the amazing accomplishment they all fought so hard for. As noted in her obituary in the February 24, 1950 Roseburg Review, Sylvia Thompson passed away in 1950 at the age of 74. Oregon and the United States had undergone a lot of social change during her lifetime. Two World Wars had been fought, eleven states had gained statehood, and women were granted equal voting rights across the nation. 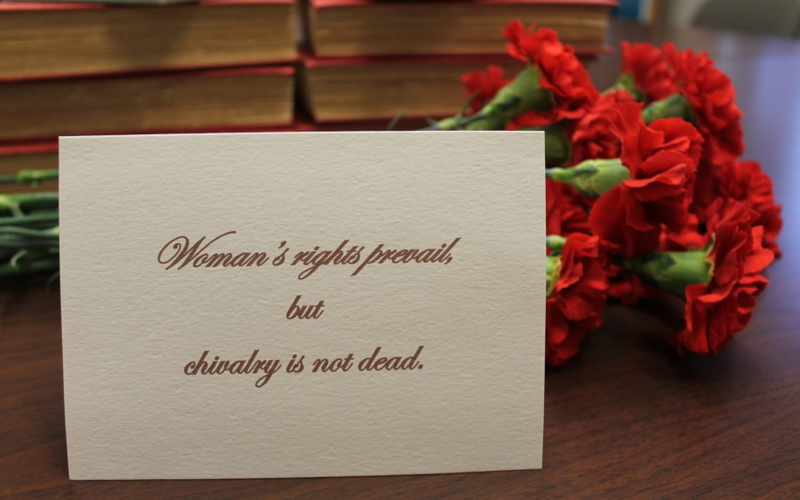 This would not have been possible without women like Sylvia Thompson. Her impact is a large one and one that is largely unknown today. Her obituary included four incredibly brief paragraphs about her life and passing. “Mrs. Alexander Thompson Ex-Legislator, Passes” Roseburg News Review, February 24, 1950, 1. “Trickery Is Charged,” Morning Oregonian, May 22, 1920, 3. Jensen, Kimberly. “Revolutions in the Machinery,” Oregon’s Historical Quarterly 110 no. 3 (Fall 2009): 336-361. 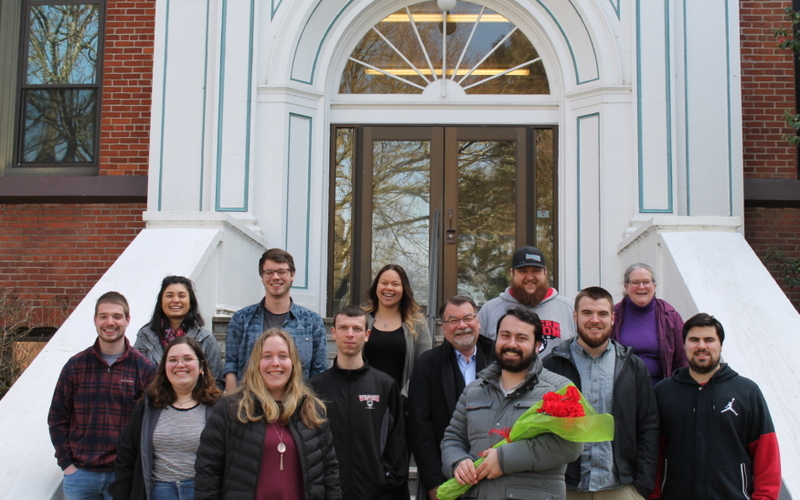 Noah Johnson was a student in Dr. Kimberly Jensen’s Nineteenth Amendment Centennial in Historical Context class as an Honors student at Western Oregon University. He is a Public Policy & Administration major and a Mathematics minor. Johnson’s personal interests include politics, debate, sports, philosophy, and community development. After graduating, Johnson plans to attend graduate school and pursue a Master’s in Public Administration, with hopes of one day becoming a city manager.